Our latest blog post comes from Dominican Volunteer Jake Moran. Jake serves at Sarah’s Inn, a support center for survivors of domestic violence in Chicago, Illinois. Jake reflects on his communities both near and far. This includes his House of Connections community, shared with fellow DV Lacey Green and Dominican Sisters Marilyn Derr and Bernadine Karge. 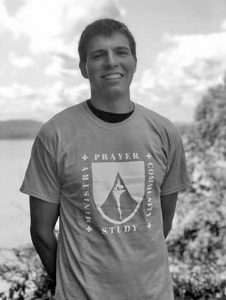 Thank you, Jake, for being an integral part of our Dominican Volunteers USA community.